Considered the crown jewel of the North Atlantic coast, Acadia National Park preserves and protects the highest rocky headlands along the United States eastern coast. The Park features clean air and water, is biodiverse providing habitats for a wealth of wildlife, and has a rich cultural heritage. Each year, over three million people explore this National Park’s seven peaks, all of which are above 1,000 feet. Acadia also features more than 150 miles of hiking trails, as well as 45 miles of historic carriage roads boasting a whopping 16 bridges. Visitors looking for accommodations near the park should start with these twenty-five mountain-style hotels, inns, lodges, and motels. 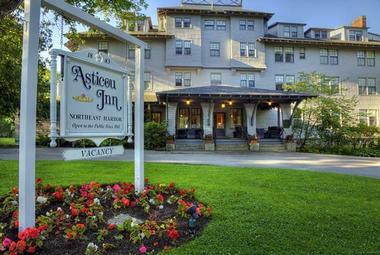 Travelers will find the charming Acadia Hotel situated on Mount Desert Island in the town of Bar Harbor, Maine. The hotel is just steps from the beautiful and bustling Village Green, a central park featuring summertime concerts and an information center for national parks. Guests will appreciate the hotel’s close proximity to a variety of boutique shops, chic art galleries, and delightful restaurants. The hotel is minutes from Acadia National Park where guests can enjoy hiking, mountain biking, and paddle boarding. The rooms are spacious and bright, and feature contemporary furnishings. Room amenities include private bathrooms, flat-screen TVs, and complimentary Wi-Fi. The Acadia Inn is a 95-room modern hotel located on Mount Desert Island in the charming coastal town of Bar Harbor, Maine. The hotel borders Acadia National Park, offering its guests convenient access to the park where they can enjoy activities that include hikes on Cadillac Mountain, rock climbing tours, and ranger-guided bike tours. Guests staying at the Acadia Inn will be close to several art galleries, retail shops, waterfront restaurants, and charming cafes. The rooms are spacious and inviting, rustic in design, feature contemporary furnishings, and offer modern amenities. 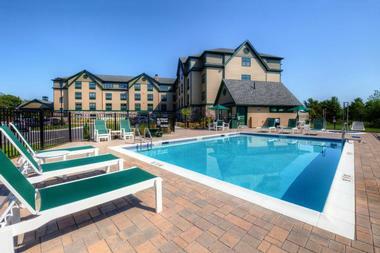 The hotel has a heated outdoor pool and a daily complimentary continental breakfast. The impressive and stately Asticou Inn is perched on a perfectly manicured grassy hill overlooking the picturesque waters in Northeast Harbor, Maine. Guests will appreciate the Inn’s close proximity to area attractions that include the Asticou Azalea Garden, Acadia National Park, and the Thuya Garden. The Inn offers its guests easy access to the charming downtown area in Northeast Harbor where they can explore waterfront dining, retail shops, and art galleries. The rooms are spacious and bright, rustic in design, and furnished with elegant time-period pieces. 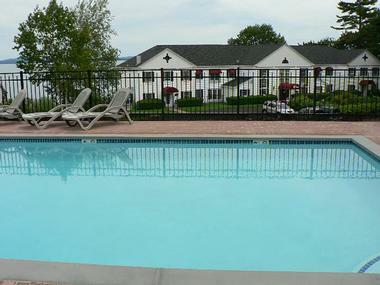 The Inn’s amenities include complimentary Wi-Fi, clay tennis court, heated outdoor pool, and an on-site restaurant. This budget-friendly, four-story hotel is situated high on a hill within six picturesque wooded acres, offering its guests panoramic views of the Porcupine Islands and Frenchman Bay. 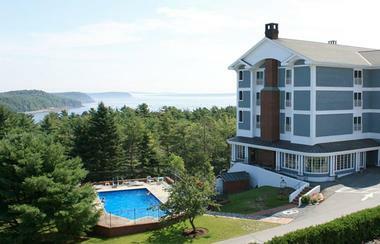 The Atlantic Eyrie Lodge is located on Mount Desert Island in the charming seaside town of Bar Harbor, Maine. Downtown Bar Harbor is minutes from the lodge, providing guests convenient access to several boutique shops, chic art galleries, and waterfront restaurants. The well-appointed rooms range from double queen beds to fully equipped suites and have balconies offering either ocean or mountain views. The rooms are spacious, contemporary in design, and feature modern amenities. This beautiful island hotel is nestled on 12 pristine acres of oceanfront real estate in the charming coastal community of Bar Harbor, Maine. The hotel offers its guests convenient access to both Acadia National Park and downtown Bar Harbor – where they’ll find several art galleries, boutique shops, and waterfront dining. Guests can enjoy local activities that include Acadia Air Tours, hiking to Bubble Rock, and whale watching tours. The property has six buildings; some rooms feature contemporary design, while others display antique furniture and opulent finishes that include tufted leather sofas. Room amenities include Atlantic Ocean views, premium cable, and complimentary Wi-Fi. This Four-Diamond oceanfront Inn offers its guests breathtaking views over Frenchman Bay and the picturesque Porcupine Islands. 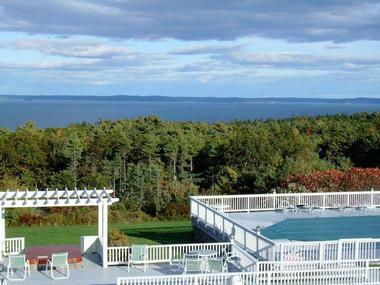 Balance Rock Inn is located in the charming seaside town of Bar Harbor, Maine. The Inn provides its guests convenient access to area attractions that include Acadia National Park, Thunder Hole, and the Egg Rock Lighthouse. The Inn is minutes from downtown Bar Harbor where guests can explore a variety of boutique shops, charming cafes, and chic art galleries. The rooms feature elegant design, antique furnishings, and opulent amenities. Hotel perks include a complimentary breakfast buffet, fitness center, and a sparkling pool with ocean views. This charming boutique hotel is located on Mount Desert Island and was designed as a replica of the historic Rodick House in Bar Harbor, Maine. It’s a short walk from the Bar Harbor Grand Hotel to the village’s downtown area where guests can explore a variety of charming cafes, waterfront eateries, and boutique shops. Within minutes of the hotel, guests can explore Acadia National Park, take a sailing tour, or visit the Turrets Seaside Garden. The rooms feature gray carpet with pastel-green walls, mid-century furniture, and modern amenities. The hotel offers a complimentary continental breakfast, sparkling pool, and fitness center. 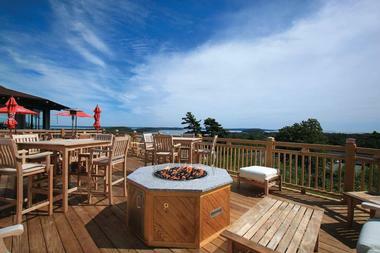 Travelers will find Bar Harbor Inn & Spa located on Mount Desert Island in Bar Harbor, Maine. This luxurious hotel is nestled along the shores of Frenchman Bay overlooking the picturesque Porcupine Islands. The hotel is conveniently situated near several waterfront restaurants, chic art galleries, and charming boutiques for guests to explore. Guests will also appreciate the convenience of reaching Acadia National Park where they can enjoy scenic adventures like hiking up Cadillac Mountain. The rooms are spacious and bright, elegantly decorated, and feature contemporary furnishings. The hotel offers several onsite restaurants, an outdoor heated pool and Jacuzzi, and a rejuvenating spa. The Bar Harbor Manor is a collection of four elegant and historic homes nestled in the picturesque seaside town of Bar Harbor, Maine. Guests will appreciate the private village’s serenity as well as its close proximity to downtown Bar Harbor where they can explore museums, view chic art galleries, or dine at waterfront restaurants. 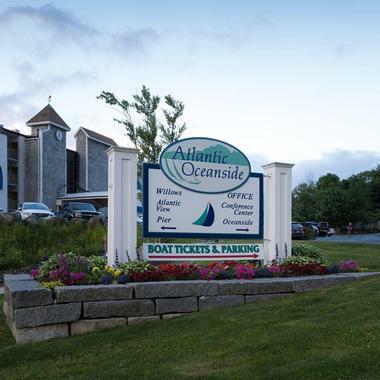 The hotel is conveniently situated near attractions that include Acadia National Park, Sand Beach, and the Asticou Azalea Garden. 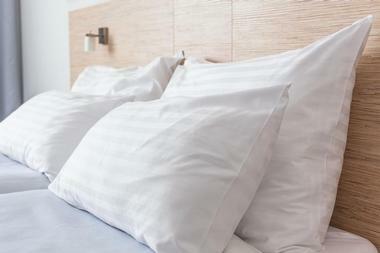 The spacious rooms provide a fresh and airy feel, are tastefully designed, and feature contemporary furnishings. Room amenities include private bathrooms, flat-screen TVs, complimentary Wi-Fi, and coffee makers. 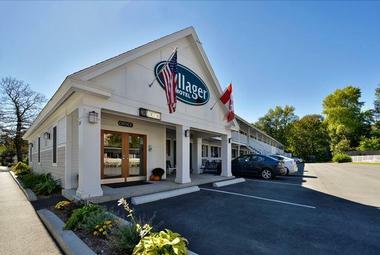 The Bar Harbor Villager Motel is a 52-room modern motel located on Mount Desert Island in the heart of Bar Harbor, Maine. The motel’s close proximity to the center of town offers guests convenient access to a variety of charming boutiques, waterfront restaurants, and historical museums. The motel is situated minutes from Acadia National Park where guests can enjoy a gorgeous hike on the Champlain Mountain & Beehive Loop Trail. The rooms feature earth-tone colored carpet, offer splashes of lime-green color in the curtains, bed skirts and furniture, and feature contemporary furnishings. Room amenities include private bathrooms, complimentary Wi-Fi, and flat-screen TVs. 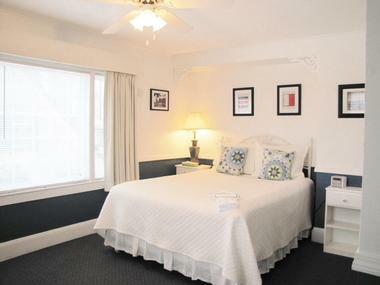 This charming and modern boutique motel is located on the picturesque Mount Desert Island in Bar Harbor, Maine. Guests will be within minutes of Acadia National Park and Bar Harbor’s downtown area filled with charming boutiques, art galleries, and seaside restaurants. The motel offers its guests convenient access to several area attractions that include Village Green, Egg Rock Lighthouse, and the Thuya Garden. The rooms are quaint but comfortable, rustic in design, and feature cottage-style furnishings. Room amenities include private bathrooms, cable TV, complimentary Wi-Fi, and air-conditioning. The motel features a sparkling pool, and a playground for children. This property is pet friendly. 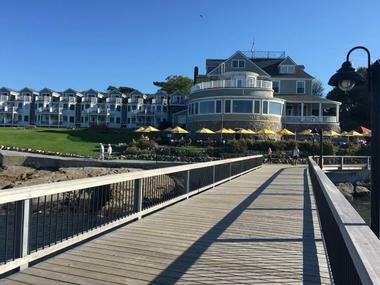 The Cromwell Harbor Hotel is a lovely boutique hotel located in the charming coastal town of Bar Harbor, Maine. Bar Harbor’s vibrant downtown area is filled with several charming boutiques, oceanfront dining options, and chic art galleries for guests to explore. Guests will appreciate the hotel’s close proximity to a variety of island attractions that include Acadia National Park, Thunder Hole, Otter Cliffs, and Sand Beach. The rooms are bright and airy, tastefully decorated, and feature contemporary furnishings. Accommodations are equipped with private bathrooms, complimentary Wi-Fi, flat-screen TVs, and coffee makers. The hotel also features a sparkling pool. Perched on a hill and rising out of a marvelous forest, the Hampton Inn Bar Harbor offers its guests panoramic views of Frenchman Bay and the picturesque Porcupine Islands. Travelers will find this beautiful hotel situated on Mount Desert Island, in the seaside village of Bar Harbor, Maine. There are several attractions within close proximity of the hotel that include Acadia National Park, Abbe Museum, and Otter Cliffs. The rooms are spacious and bright, offer modern design, and feature contemporary furnishings. 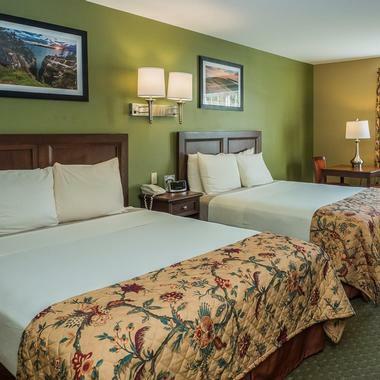 Rooms are equipped with private bathrooms, complimentary Wi-Fi, and flat-screen TVs. Some rooms have furnished balconies offering breathtaking ocean views. 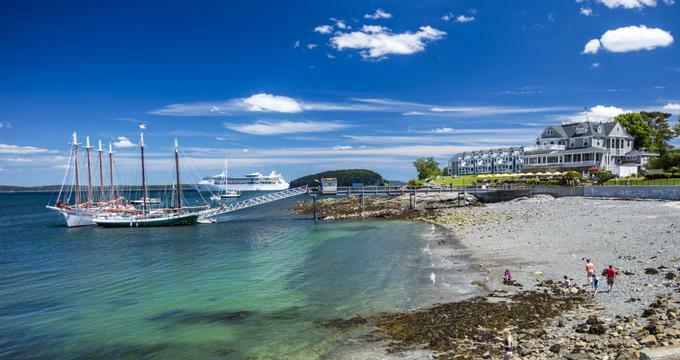 Harborside Hotel, Spa, & Marina is a classic and elegant hotel located along the shores of Frenchman Bay, in the charming coastal town of Bar Harbor, Maine. Guests will have a variety of activities in the area to choose from that include whale watching tours, sailing tours, and Oli’s Trolley tours. Guests will appreciate how close the hotel is to Acadia National Park where they can enjoy 120 miles of picturesque trails. The rooms are spacious, elegantly-appointed, and feature luxurious touches that include marble bathrooms. The hotel features a sundeck offering breathtaking panoramic ocean views, plus a sparkling pool and whirlpool. 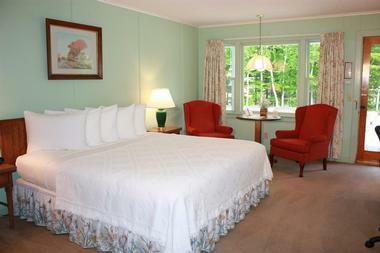 This charming, red boutique motel is perched up on a hill surrounded by towering lush green trees. Highbrook Motel is located on Mount Desert Island in the coastal town of Bar Harbor, Maine. Guests will appreciate the motel’s close proximity to downtown Bar Harbor where they can explore historic museums, dine at waterfront restaurants, and shop at boutique stores. Guests will be able to enjoy area attractions that include Acadia National Park, Turrets Seaside Garden, and Thunder Hole. The rooms are spacious and airy, rustic in design, and feature classic furnishings. Room amenities include private bathrooms, flat-screen TVs, and complimentary Wi-Fi. 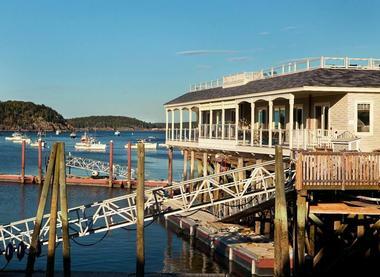 Perched on a small hill on Mount Desert Island, the Kimball Terrace Inn offers its guests picturesque views of the Northeast Harbor Marina. Guests will have convenient access to an array of attractions that include Sand Beach, Acadia National Park, and the George B. Dorr Museum of Natural History. Located minutes from the Inn is Northeast Harbor’s charming downtown area where guests can explore art galleries, shop boutique stores, and enjoy waterfront dining. The rooms have turquoise carpet and curtains, floral patterned bedding, and classic furniture. Hotel amenities include an on-site restaurant and a sparkling pool offering marina views. 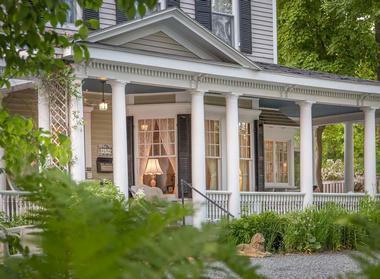 This historic Victorian home is now a charming bed and breakfast located in the heart of Bar Harbor, Maine. Mira Monte Inn is comprised of the Victorian Inn, Ashe Cottage, and Mira Monte Suites. Guests will be within walking distance of the town’s boutique stores, waterfront restaurants, and historic museums. Guests can explore Mount Desert Island and Acadia National Park by air with Acadia Air Tours, by foot via ranger-guided hikes, or by sea with Acadian Boat Tours. The rooms are spacious and elegantly decorated with antique furniture. The Inn provides its guests with a sensational and bounteous breakfast buffet daily. This late 19th century colonial inn offers travelers a budget-friendly option in the heart of Bar Harbor, Maine. 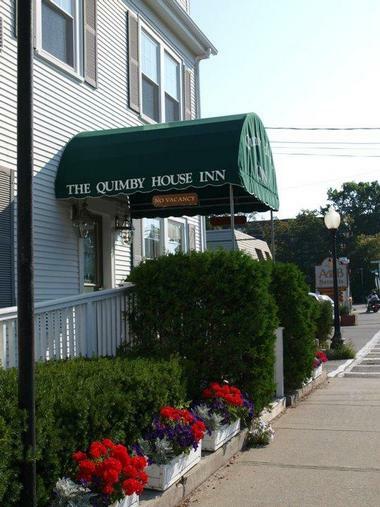 Guests will appreciate Quimby House Inn & Spa’s nearness to Acadia National Park where they can explore over 100 miles of picturesque trails as well as the United States’ tallest point on the East Coast, Cadillac Mountain. Downtown Bar Harbor is minutes from the Inn where guests can enjoy waterfront dining, chic art galleries, and charming cafes. The rooms are spacious and bright, eclectic in design, and feature classic furniture. Additional Inn amenities include the rejuvenating Serenity Garden Spa, complimentary Wi-Fi, and air-conditioning. 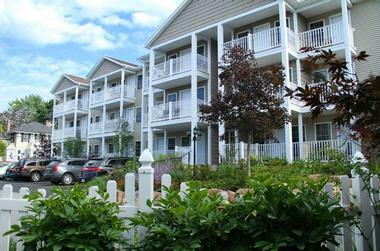 Travelers will find The Bayview located on Mount Desert Island, in the coastal town of Bar Harbor, Maine. The hotel is striking with its all-white façade framed by the heavily forested area surrounding it. Guests will be just minutes from downtown Bar Harbor where they’ll be able to explore chic art galleries, dine at waterfront restaurants, and relax in cozy cafes. The hotel is conveniently situated near several attractions that include Acadia National Park, Asticou Azalea Garden, and Egg Rock Lighthouse. The rooms are bright, spacious, and feature colonial décor. Room amenities include private bathrooms, flat-screen TVs, and complimentary Wi-Fi. Grand and impressive, The Bluenose Inn is comprised of two elegant buildings nestled in the charming seaside community of Bar Harbor, Maine. The Mizzentop provides 53 well-appointed rooms as well as a Piano Lounge Great Room. The Stenna Nordica features 45 tastefully decorated guest rooms and a beautiful glass front elevator. The hotel offers guests convenient access to Acadia National Park and downtown Bar Harbor’s boutique shops, art galleries, and restaurants. Room amenities include private bathrooms, flat-screen TVs, and complimentary Wi-Fi. Some rooms feature luxurious amenities that include fireplaces, Bose sound systems, and balconies with picturesque views of the shimmering Frenchman Bay. Travelers will find The Claremont Hotel conveniently situated two miles from beautiful Acadia National Park in Southwest Harbor, Maine. At the park, visitors can explore 120 miles of picturesque trails that lead to popular sites like Cadillac Mountain, Bubble Rock, and Great Long Pond. Guests will appreciate how close the hotel is to downtown Southwest Harbor where they can shop at stylish boutiques, view art galleries, and dine at waterfront restaurants. The property offers several charming accommodations from the historic hotel to The Phillips House to the Cottages. All of the rooms are tastefully decorated and feature modern amenities. Perched high up on a hill and surrounded by thick forest, Wonder View Inn offers its guests breathtaking panoramic views of Frenchman Bay and the Porcupine Islands. Guests will appreciate the Inn’s close proximity to downtown Bar Harbor’s charming cafes, chic art galleries, and waterfront restaurants. The hotel offers its guests convenient access to a variety of attractions that include Acadia National Park, Thuya Garden, and Thunder Hole. Rooms are spacious and bright, have a floral theme, and offer contemporary furnishings. Room amenities include private bathrooms, cable TV, and complimentary Wi-Fi. The hotel has garnered public acclaim from being pet friendly. Perched on a hill overlooking the marvelous Frenchman Bay, the Acadia Ocean View Motel offers travelers a budget-friendly option with breathtaking views. 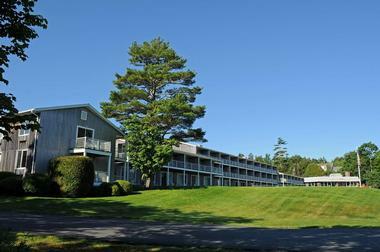 Situated on the picturesque Mount Desert Island, the motel is located in the town of Bar Harbor, Maine. Guests will appreciate the motel’s close proximity to the town’s charming downtown region where they can explore a variety of lovely cafes, waterfront restaurants, and boutique shops. The motel is within two miles of Acadia National Park where guests can enjoy a variety of outdoor recreational activities. The rooms are comfortable, feature eclectic mid-century furnishings, and provide modern amenities. This charming family-owned, 22-room motel offers travelers a budget-friendly accommodation in the Acadia National Park area. 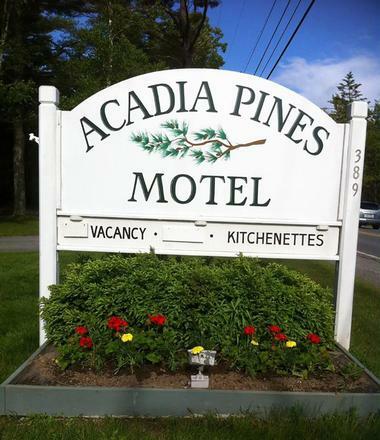 Acadia Pines Motel is situated on Mount Desert Island, in the charming seaside community of Bar Harbor, Maine. Guests will be within minutes of the park where they can enjoy a variety of nature packed adventures that include hiking Precipice Trail, exploring Sand Beach, and hiking the Heart of Acadia Loop. The rooms are spacious, display nautical and nature themed art, and feature rustic mid-century furnishings. Room amenities include private bathrooms, complimentary Wi-Fi, and coffee makers. The motel (seasonally) provides a sparkling pool for guests to enjoy. 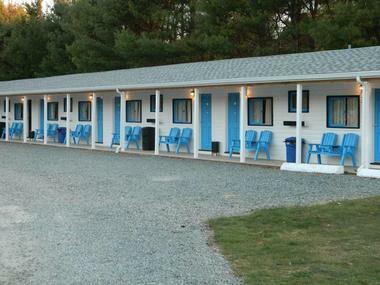 The Anchorage Motel is located on Mount Desert Island, in the charming coastal town of Bar Harbor, Maine. This family-owned boutique hotel provides a nice budget-friendly option for visitors to the Acadia National Park area. Guests will appreciate the hotel’s close proximity to the park where they can explore the rocky coast, take ranger-guided tours, and hike Cadillac Mountain. Guests will also be conveniently located near several waterfront restaurants, retail shops, and charming cafes. The rooms are spacious, offer rustic design, and provide mid-century furniture. The rooms are equipped with renovated private bathrooms, flat-screen TVs with cable channels, and air-conditioning.